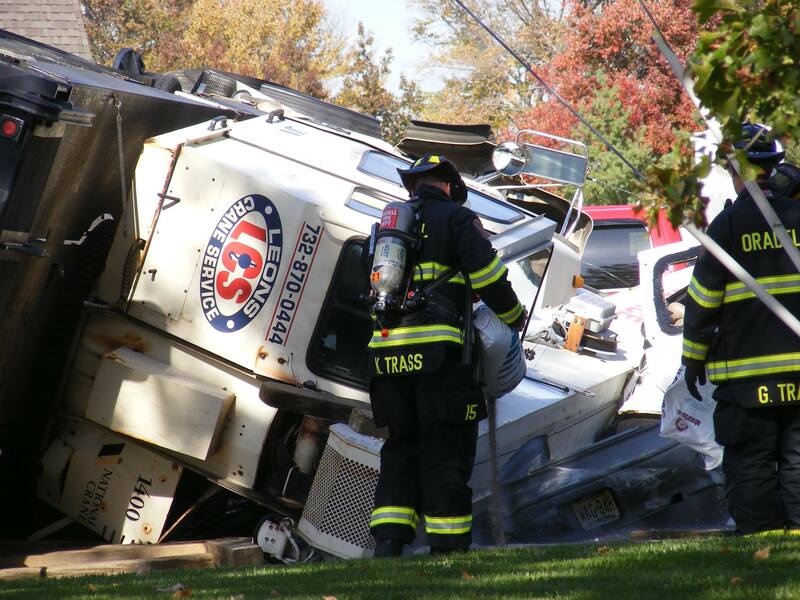 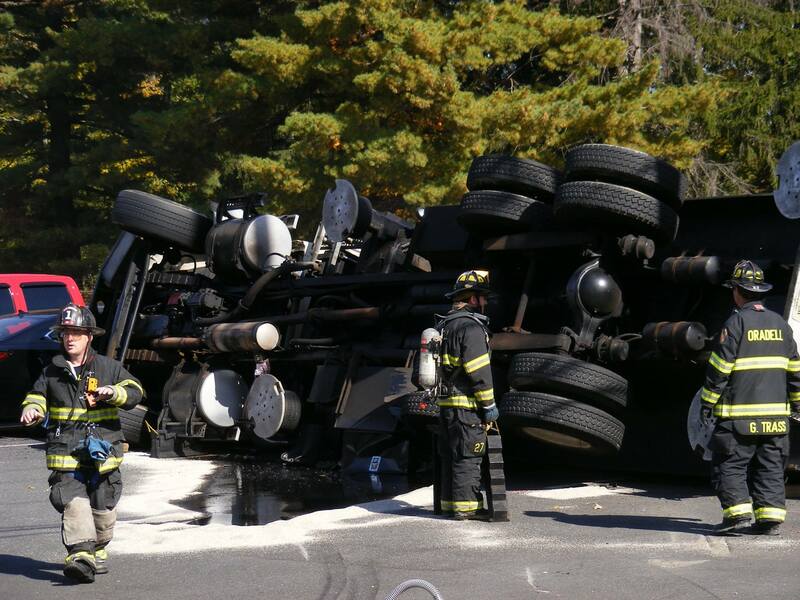 At 1PM today, Oradell Fire units were dispatched to the 600 block of Kinderkamack Road for a 10-wheel crane truck that had crashed and rolled over in a parking lot. 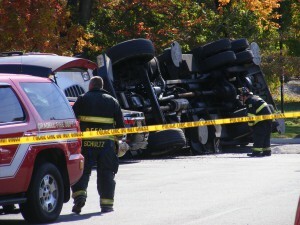 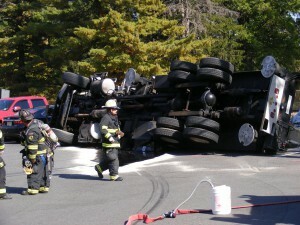 A large fuel spill resulted from the crash. River Edge Fire, New Milford Fire, and Bergen County HazMat assisted on scene.